Coming to Hoi An is getting closer to the city of ancient streets covered with lichen, the city of colorful lanterns lying beside the romantic Thu Bon lake. 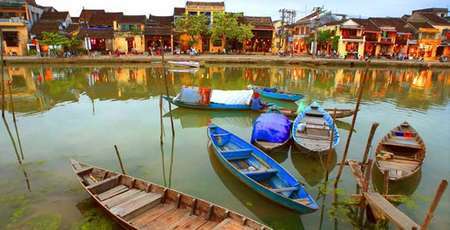 Are these poetic elements attractive enough to make you feel eager for your trip to Hoi An? Beside historical monuments, you will also enjoy an exploration of street food with special and varied culinary culture. 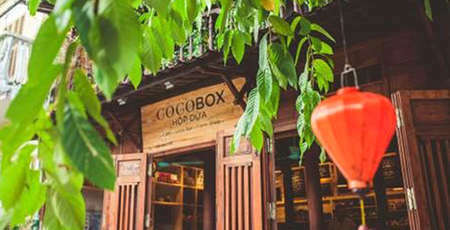 Let’s go with us to discover the top 10 destinations of Hoi An specialties that you should not miss out. Established in the 1950s, the restaurant system of Mrs. Buoi has become very famous for traditional chicken rice. Basing on traditional recipes, "Ba Buoi" chicken rice is the combination of rice, sliced chicken cooked with fresh herbs. The distinctive element that make this brand famous is ingredient quality. The majority of ingredients, from rice to chicken or other combined herbs are selected from Tra Que village. In addition, the special cooking method also contributes to make the unique taste of "Ba Buoi" brand. 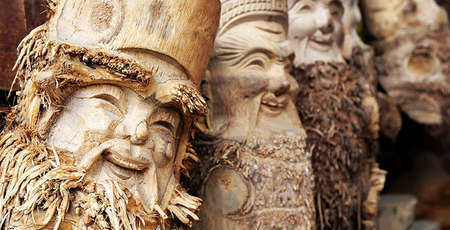 • Address: Ba Buoi Restaurant, 22 Phan Chu Trinh. 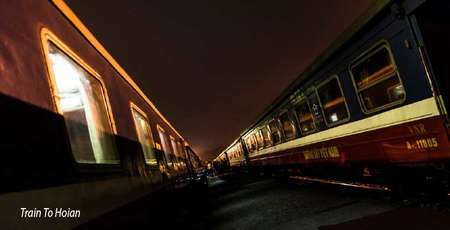 It is not necessary to pay for a premium restaurant to taste the famous Cao Lau noodle. To appreciate the traditional taste of this specialty, you can go to a small food court in the corner of Thai Phien street. 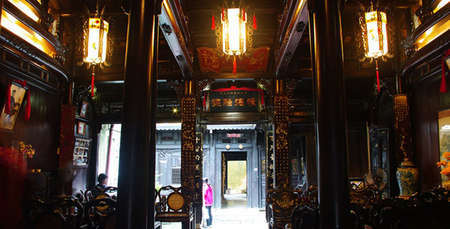 According to the residents of ancient streets, Cao Lau appeared in the 17th century, in the commercial centre of Hoi An. 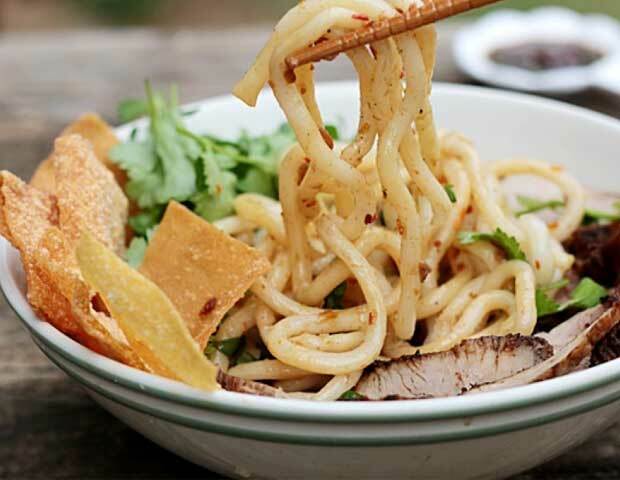 With yellow fresh noodle, some slices of pork marinated and fried with five-spice powder, together with naturally tasty bouillon, Cao Lau noodle can be considered as a sophisticated combination between Chinese and Japanese culinary culture. “Banh bao” and “banh vac” are two Vietnamese traditional cakes with similar ingredients and recipes, usually served in the same plate. If “banh vac” contains minced shrimp mixed with spring onion, garlic, lemon grass covered in a soft skin then “banh bao” includes minced pork mixed with thin-top mushroom and spring onion. These are the special ingredients and spices that create the flavorful taste of these Hoi An dishes. If you are in Hoi An, don’t forget to try these two specialties to feel and understand further the culinary culture in this region. 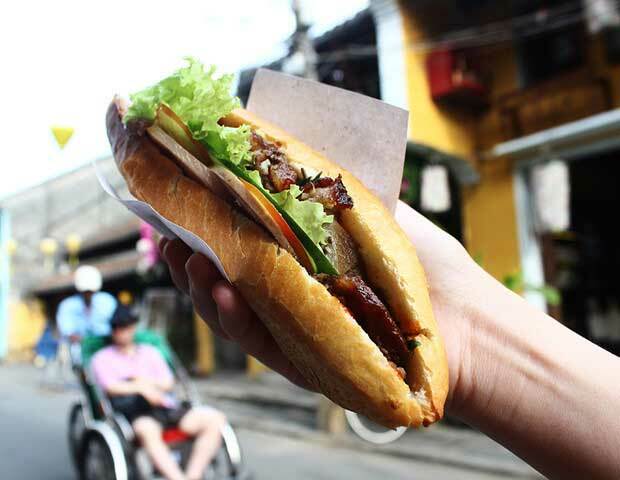 Hoi An continues to attract international visitors with the crispy and fatty Hoi An bread. In the past, Phượng bread was ranked in the top of the list. However, today, this first rank has been replaced by Miss Khanh bread. Located far from the center of ancient streets. Miss Khanh bread is known as a small food court. Though the space is very modest, this little food court has continuously received a number of compliments from international visitors and called with the name “Queen banh mì”. 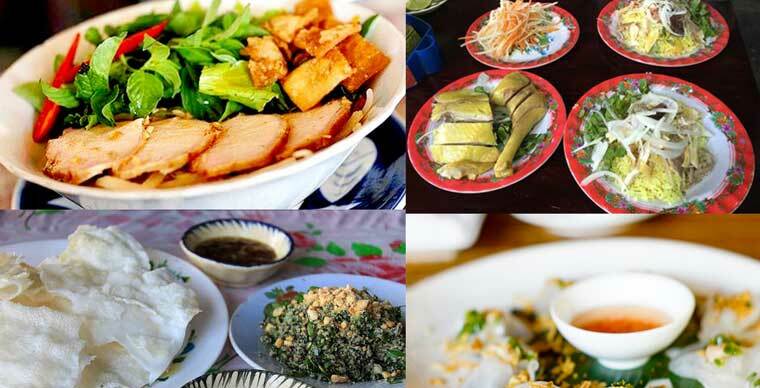 Located on the side of Hoai lake, where Hoi An people usually have grilled cake of Hoi An, you can also find another speciality named “banh uot cuon thit nuong” (wet cake with grilled pork). In this region, wet cake is a popular dish to all adults and children. You can try wet cake with grilled pork covered in a fresh salad leaf. 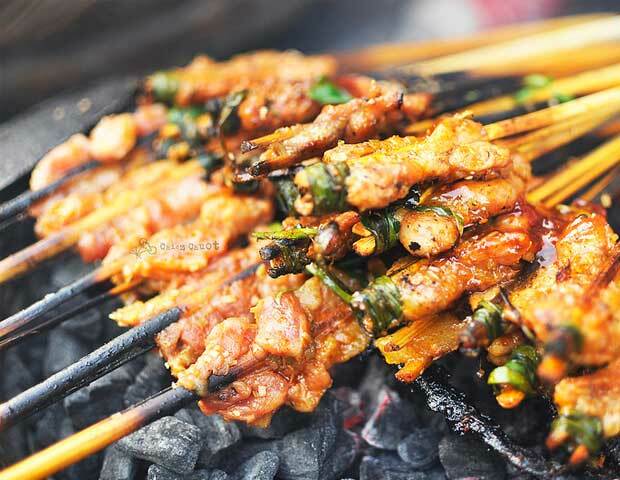 The tastiness of each grilled meat stick leave an unforgettable memory to Hoi An visitors. 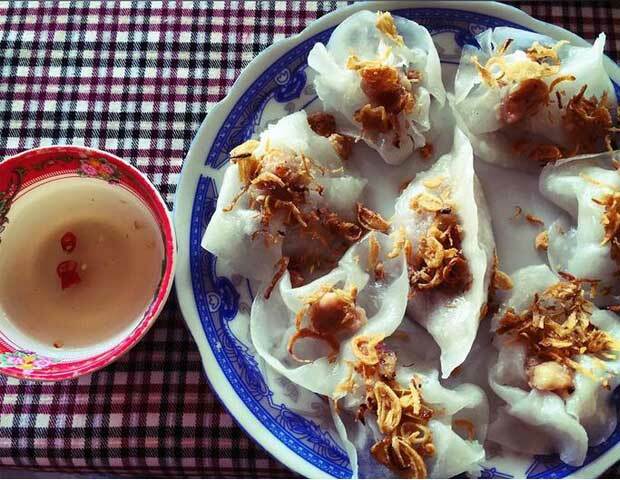 Many people may already know about “banh dap” (including “Steamy cake” and “rice cracker”) of Hoi An. Some visitors who has passed and tried this specialty can even tell exactly the flavor when having it in the food court near the bridge. Bánh đập Hoi An is a very popular dish. The mussel in this region is very delicious. Despite of the small size, the mussels here are very firm. After catching a good amount of mussels, people usually think of stir-frying to have it with crushed rice cracker. Gradually, this dish becomes a regional specialty and an indispensable dish for visitors to try. The recipe of Hoi An crushed rice cracker with stir-fried mussel is simple but it brings an unique flavor to the culinary culture there. 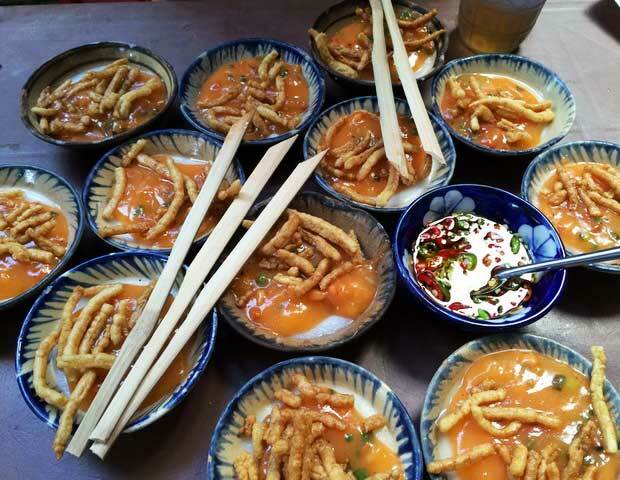 After having this dish, local people often have sweet corn pudding as dessert. To make “banh beo” they usually choose high quality rice macerated in water to make it softer and then grind it into a smooth wet flour. The success of making this specialty mainly depends on this grinding rice and mixing flour. If the flour substance is too thick, “banh beo” will be hard and if the flour substance is too thin, “bánh bèo” will be loose (there is not the marked hole in the middle). After being tested for the right smooth and sticky level, the liquid will be put into little bow for steaming. Once being fully cooked, the bloating fern-shaped cakes will be taken out of the bowls and arranged carefully for cooling down. The finished product are soft and smooth white cake with a small hole in the center. The bowls used to make “bánh bèo” is a type of terra-cotta bowl coated with ceramics, smaller than the normal bowl used for having meals. The filling of “bánh bèo” is made of local ingredients such as shrimp mixed with pork marinated in several spices. 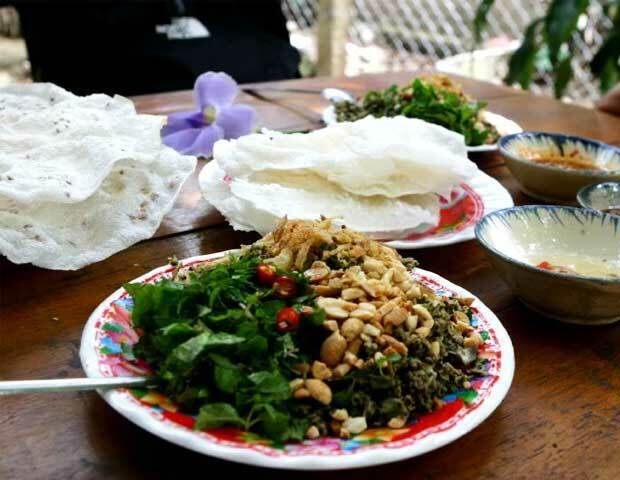 It has been a long time that “bánh bèo” becomes a traditional food of Hoi An residents. • Address: Hoang Van Thu and Dinh Tien Hoang road. 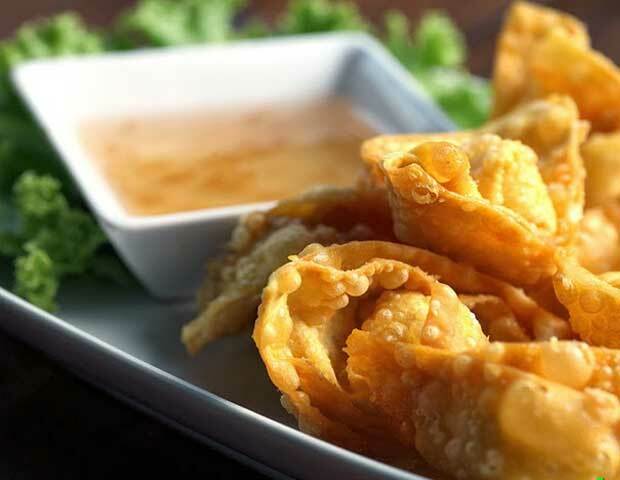 Though having origin from China, wonton has become a specialty of Hoi An and being known for the 3 most popular recipes: crispy, spicy or in combination with noodle. Local people usually have wonton in the late afternoon as a delicious appetize. Wonton is made of wheat, egg mixed together and rest a few hours for fermentation. Then, the dough will be flattened and cut into pieces. The spicy shrimps will be minced and cooked. A small amount of sauce will be added with pineapple, tomato and mushroom. • Address: Van Loc Wonton, 27 Tran Phu. Banh xeo is a type of salty traditional cake filled with minced pork, shrimp and soya sprout folded in half in a crispy cover. 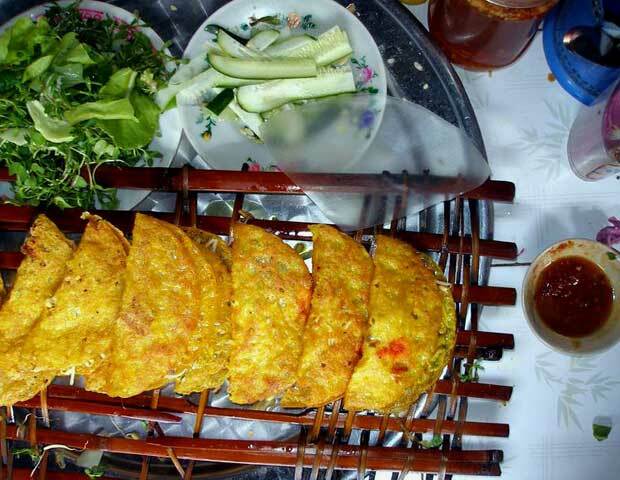 Banh xeo is usually eaten with sweet and savoury tomato sauce. 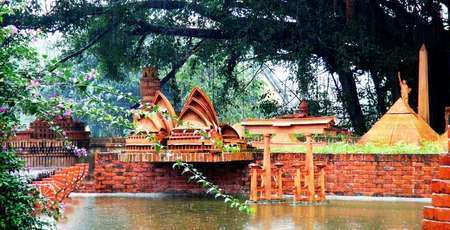 • Address: Ballet Well, 45/51 Tran Hung Dao. The little food courts in Hoi An are where visitors can taste these flavoury grilled meat sticks. 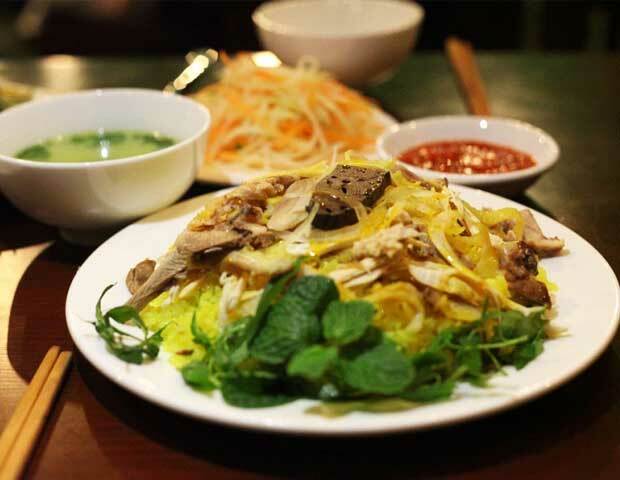 With obly 5,000 VND you can fully enjoy the deliciously greasy taste of the local grilled pork. 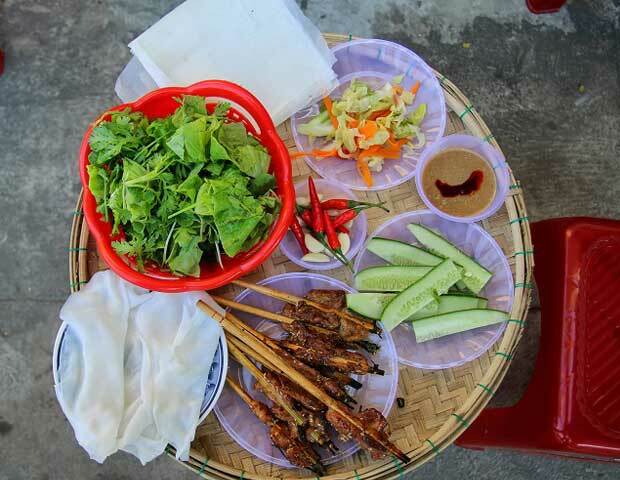 Different from other places, the meat sticks in Hoi An are grilled on charcoals and served with wet cake or several herbs such as mint and salad.